Facebook has rolled out end-to-end encryption for all 900 million Messenger users so your conversations can’t be monitored by third parties. However, the new feature isn’t as usable as it needs to be. You’ll need to manually enable the ‘Secret Conversations’ feature for each and every chat, and both participants need to have the latest version of the app installed for this to work. Plus, encryption isn’t available for group chats, and you can only access Secret Conversations from the device you started them on. They also don’t support GIFs and videos (images and stickers work fine, though). To turn it on, tap the new conversation button, and then tap ‘Secret’ or toggle the switch in the top right corner before selecting a contact. You’ll see the menu bar turn to black; choose your recipient to begin an encrypted chat. 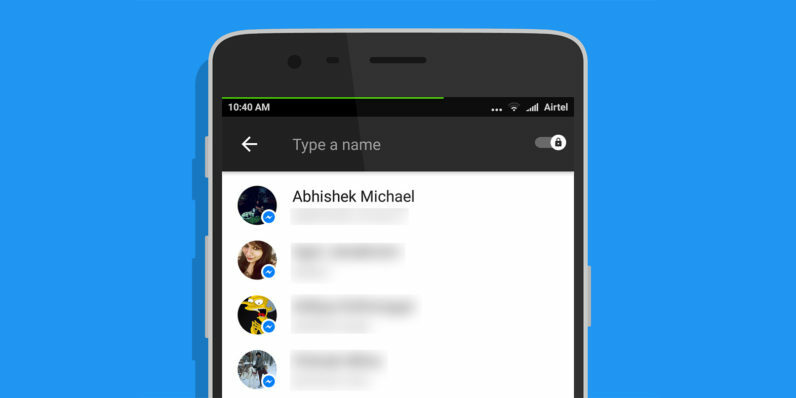 For ongoing chats, you can tap the recipient’s name or the ‘i’ button at the top of your screen and then tap ‘Secret Conversation’ to enable encryption. The implementation is sorely lacking when compared to how encryption is handled by other apps like Signal, Telegram and even Facebook’s own WhatsApp, which enabled the feature system-wide in April. According to Wired, the decision to require opting in may be some sort of compromise to help Facebook dodge legal issues. Earlier this year, the company was under fire in Brazil as it refused to assist local authorities in decrypting messages sent by suspects in a drug trafficking case. The trouble is, Messenger’s Secret Conversations only work if users know about it, so this isn’t really a solution yet. Facebook may have updated its software, but it now needs to advocate users’ rights to privacy around the world. if it genuinely cares about offering a secure messaging tool.